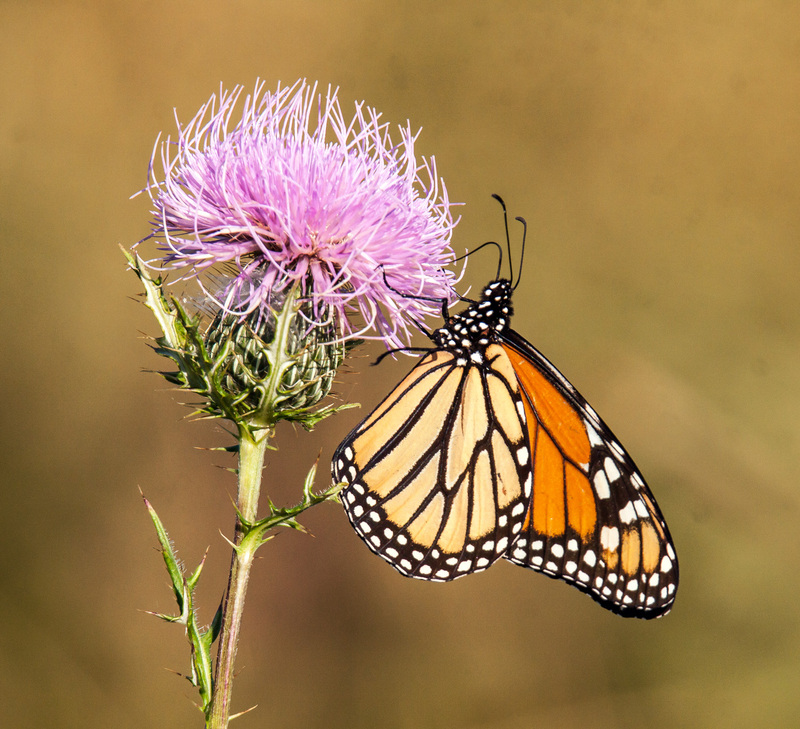 I was thrilled this morning at Occoquan Bay National Wildlife Refuge to see that there are still quite a few Monarch butterflies (Danaus plexippus) in our area, including this beauty that I was able to photograph as it was feeding on a thistle plant. Amazing photo – so sharp I don’t dare touch the screen for fear of getting prickled! That’s a stunning shot – you must be very happy with it! Thanks, Brian. In a few months, hopefully, my blog will be populated again by colorful flying insects like this butterfly. Can not come soon enough!